Roof support is one of the most important and fundamental operations in underground coal roadway development. Current FLP on-board drilling product offering provides products for both roof and rib bolting. The Sandvik DO600 is a drill rig that is designed with automation as a core requirement. This will allow more accurate control on high-quality bolt installation of our drilling system which will in turn allow Sandvik to mechanize and then automate the drilling cycle. 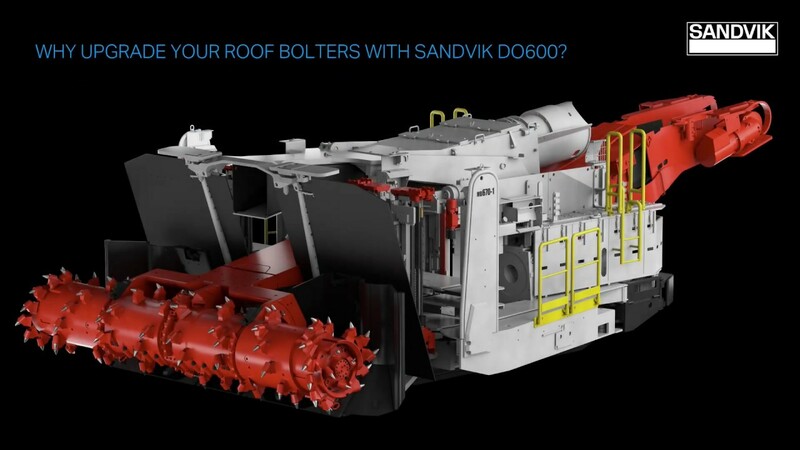 Sandvik DO600 upgrade solutions come with an extended warranty, with ongoing maintenance provided. The conversion can be quickly undertaken by Sandvik skilled technicians, in the same time as a standard on-board bolter exchange. The frame, feed and timber jack modules are designed for ease of maintenance, increasing production time. Available in different lengths and drill strokes, the new Sandvik DO600 series can accommodate a range of customer applications and preferences and is available with a variety of head plates, drill head types and inlet manifolds.